Allah Ki Mohabbat Mein Bala Aur Musibat Kiyon? Younus AlGohar discusses why trouble and calamity are attached with God’s love in light of what Lord Ra Riaz has revealed about God’s nature. He also talks about Lord Ra Riaz’s distinctive approach to people exclusively seeking His love. – Abdul Qadir Jilani and Lord Ra Riaz Gohar Shahi explained what this meant. Abdul Qadir Jilani’s explanation shows how close he is to God; Lord Ra Riaz’s explanation shows how much He knows God. Abdul Qadir Jilani’s explanation is incomplete; he lays all the emphasis on the seeker and God is not discussed. In Lord Ra Riaz’s explanation, the seeker is not discussed, but God is. – Abdul Qadir Jilani said, ‘Trouble is attached with God’s love because a true lover is recognised in times of trouble. 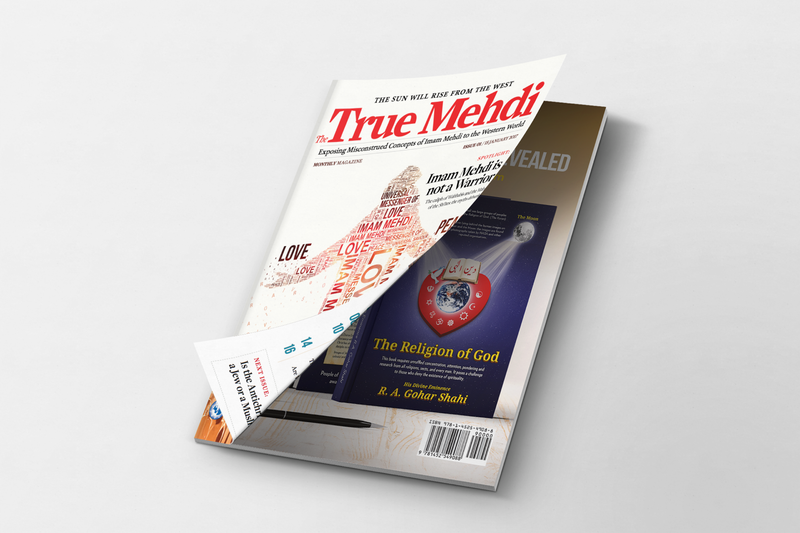 Trouble is attached so not just anyone can claim to love God.’ He said it was a test from God to see whether the seeker was determined enough to obtain God’s love. This statement was for someone trying to get God’s love, not someone who already had it. – Lord Ra Riaz’s explanation is for those who have obtained God’s love; for whom God says, ‘I become the hand with which he holds things.’ Lord Ra Riaz revealed God’s nature: he gives trouble and calamity to his lovers so that when he cries, God will feel sorry for him and have mercy. In this state, he increases love for them. – For those who are on the path to obtain Lord Ra Riaz’s love, there is no trouble and calamity sent like there is in God’s system. If your Nafs (Self) is purified, it means Lord Ra Riaz has chosen you for Their love. As long as your Nafs is not purified, it means you have not been chosen yet. Once Lord Ra Riaz has trusted you, that is it; on such people, Lord Ra Riaz does not send trouble on such people. Younus AlGohar talks about human history in an unprecedented way. He talks the audience through the different revolutions that humanity has experienced and why they only occurred in the last 6000 years. He gives glad-tidings of the Revolution of Love that will occur with the bounty of the Awaited One Lord Ra Riaz Gohar Shahi. ⁃ A revolution is when new teachings come that completely change the norms of society and norms of spirituality. Many revolutions have come but in the modern era, whatever spiritual and religious revolutions have come have been rendered moot. Humanity is now back at its prehistoric status, the stage it was at before the arrival of Adam the Eminent One. ⁃ God sent 14 000 Adams. 13 999 of these Adams were made with the clay of this world and they didn’t have knowledge of spirituality. Their worship was done with the body. In the era before Adam the Eminent One’s arrival, if somebody adopted a religion, the only difference was that they would start to worship. Their character would not be changed. Your character is directly linked to your Nafs (Self) and Qalb (spiritual heart); if your Nafs is getting purified and your Qalb is getting enlightened with God’s name, you’ll be inclined towards God. ⁃ Adam the Eminent One came 6000 years ago, but this world has existed for billions of years. Adam the Eminent One’s arrival was foretold by the previous Adams, who were told that in the final era, a special Adam would be sent. Adams before Adam Safi Allah would just worship, but they did not know if their worship was accepted by God. They would force themselves not to sin, but the desire to sin was not removed from inside them. Finally, when Adam the Eminent One was sent, angels were told to make his body in heaven. Angels objected to the creation of Adam the Eminent One, citing the war, bloodshed and mischief that all the previous 13 999 Adams had all been involved in. God replied that Adam the Eminent One would be given the knowledge of eminence. God gave Adam the Eminent One the knowledge of how to generate divine energy from God’s names. ⁃ God gave different names to his prophets and messengers. David got the name Ya Wadood while Moses got Ya Rehman, which are related to different attributes of God. Mohammad got the Personal Name of God, Allah, which took him straight to the Person of God. All of God’s names are good. ⁃ Through Adam the Eminent One, the first revolution was brought to humanity: people were able to get connected to God and purify their Nafs and Qalb. Now, man’s voice would reach God. The second revolution was when God spoke to Moses; now, man was able to hear God’s voice. The greatest revolution was when Mohammad introduced the knowledge of seeing God. Unfortunately, this revolution was suppressed because of mischief that took place in Islam. Mohammad’s knowledge of seeing God and his knowledge of spirituality were suppressed by scholars and even companions of the Prophet as well as his wife, Aisha. To become part of Mohammad’s greatest revolution, you have to start adopting the revolutionary knowledge of Adam and so on. This is why God made it obligatory upon all Muslims to believe in all the prophets and messengers. ⁃ Today, people have forgotten the knowledge of eminence. No matter what religion you follow or what race you belong to, if you do not have the knowledge of eminence, then you are no different from the Adams who predated Adam the Eminent One because you are all dark by the heart. Imam Mehdi Lord Ra Riaz Gohar Shahi has introduces spiritual knowledge today in a form that the world has never seen before. With this spiritual knowledge, you can know yourself. You can find out what you chose for yourself in the Primordial Times and what your ultimate destiny is. I want to tell the world that the holy place known as the Holy Cubicle (Kaaba) is for everybody. It is for Christians, Hindus, Jews and Muslims. Currently, the Saudi Royal Family has disallowed all other religions for except Muslims to pay pilgrimage and homage to the holy place. God has a plan according to which people of all religions soon will be able to travel to the Holy Cubicle. Due to the Holy Black Stone, which was brought by Adam and is fixed in the Holy Cubicle, it is a holy place. The image of Jesus has become prominent in the stone, which simply suggests that this is sacred for Christians also. The image of Mother Mary is also prominent on the Holy Black Stone. According to the divine plan, the image of Moses is also prominent on the Holy Black Stone, which means the Jewish people can come. This stone is sacred not only for Muslims and Christians, but also for the Jewish community. Then the image of Durga Maa is also prominent on the Holy Black Stone which means this Holy Black Stone is sacred for not just one religion, but for many religions. The Holy Black Stone has the image of Lord Jesus Christ, which means all those who believe in Jesus have the right to visit that place. This image is not painted by human beings; it is the work of God, the act of God. Not only does this Holy Black Stone have the image of Durga Maa, Mother Mary, Lord Jesus Christ, Moses and Mohammad, but also Ali. And not just that — this Holy Black Stone has the image of God and also another four members of the Community of God. Images of four members of the Community of God are visible; they’re standing behind the Awaited One Lord Ra Riaz Gohar Shahi’s image in the Holy Black Stone. This Holy Black Stone will be greatly helpful to establish the fact that the entire humanity should convert to One United Nation (a universal brotherhood) that will love God and God will love them.